Revealing to all your great grace. 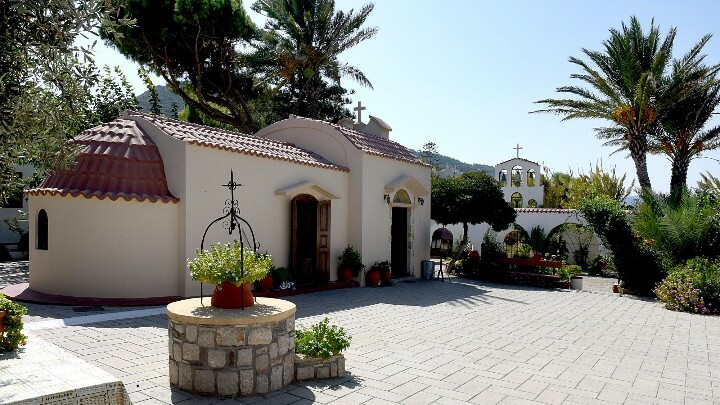 The Holy Monastery of Panagia Phaneromeni is located a few kilometers outside the city of Rhodes, in the area of Ixia. In the location where now lies the Holy Monastery of the Panagia Phaneromeni, in the 19th century, was the leper colony of Rhodes, isolated from the rest of the world. One day, a leper found on the shore in the sand an icon of the Virgin Mary. 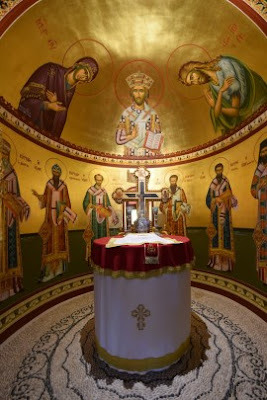 The discovery, or revelation, of the icon caused it to receive the name “Phaneromeni” (Revealed), and led to the building of a small humble church nearby in which the icon was placed. 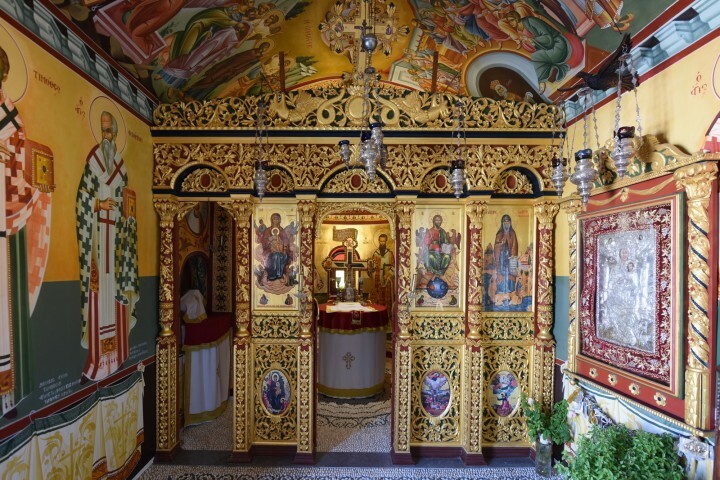 It also bears the name Panagia Louviaritsa, which means Panagia of the Lepers. In 1863 the church was destroyed after an earthquake, but rebuilt in the latter 19th century or early 20th century after the icon was found in the ruins. 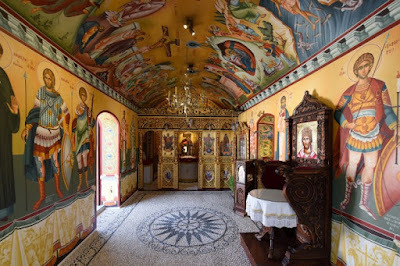 Later, when the lepers were no longer in the area, the chapel was expanded with the help of Christians from the communities of Ialyssos and Kremasti, and in 1933 it was named a men's monastery, with the first abbot being Archimandrite Dorotheos Frangias. During a two year period between 2009-2011, the katholikon of the monastery was completely renovated and inaugurated by His Eminence Metropolitan Kirillos of Rhodes on the 17th of October 2010. 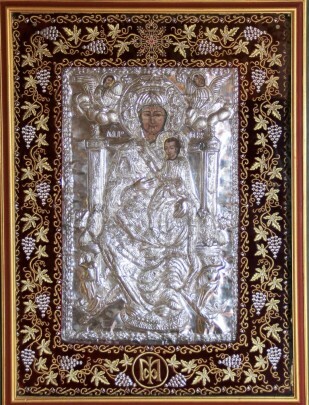 Longing for your icon, I kiss it, which you revealed of old, out of your great compassion, you quieted the pain of the lepers, and your maternal gifts that were received, you reveal through it, as we cry: Rejoice Virgin Birthgiver of God, our protector Phaneromeni.